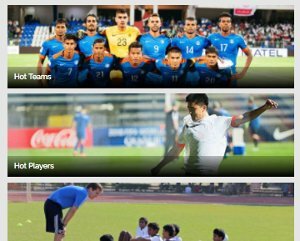 India, the hosts will be in Group A for the forthcoming FIFA U-17 World Cup 2017 in October. 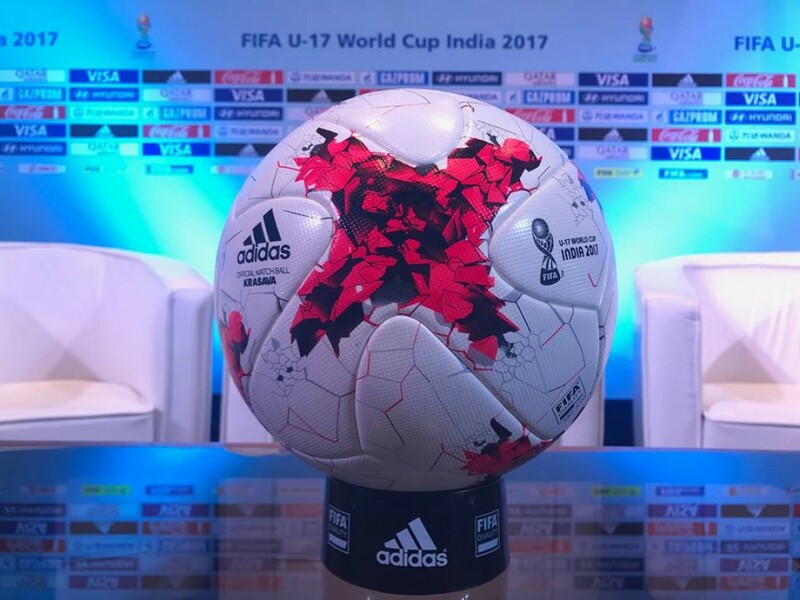 The draw saw two former players who have won the U-17 World Cup in the past, Esteban Cambiasso and Nwankwo Kanu, participating in it. 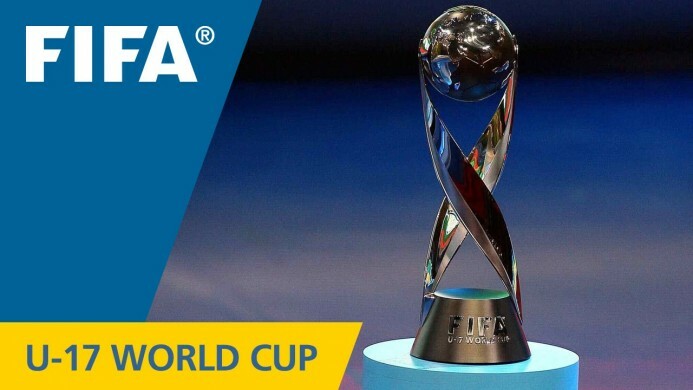 Although defending champions Nigeria have not made the cut for this year’s World Cup, the quality of the the African teams will be far from scarce as Mali, the finalists of the 2015 edition will be participating this year in India. The draw saw 24 teams divided into four pots thanks to which India will face the likes of the United States of America, Colombia and Ghana in Group A. The Blue Cubs will face the United States on 6th October, Colombia on 9th October and Ghana on 12th October. 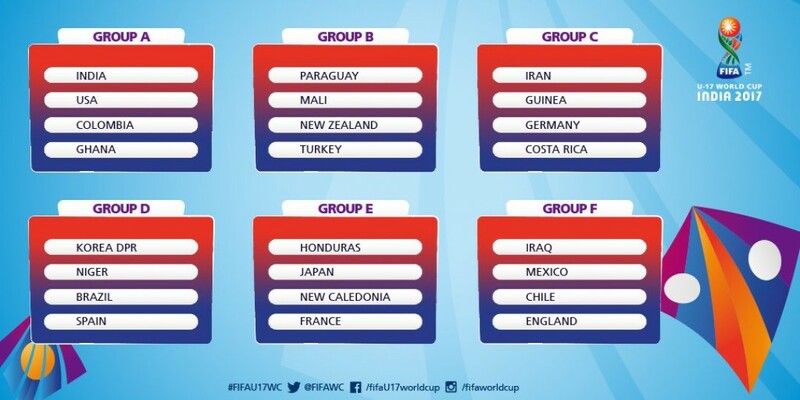 Group B will consist of Paraguay, Mali, New Zealand and Turkey who will play their group stage matches on the same dates as Group A, only to play the last game in a different location than the rest in the country’s capital in New Delhi. Group C will see the likes of Iran, Guinea, Germany and Costa Rica fight it out between themselves in the group stage from 7th to 13th October, with the final round of games to take place in Kochi. Giants such as Korea DPR, Niger, Germany and Spain will be the participants of Group D and will also play their group stage matches between 7th and 13th October in Kochi. 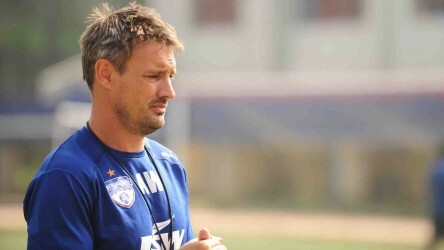 However, the final match between Niger and Korea DPR will be played at Fatorda Stadium, Margao. 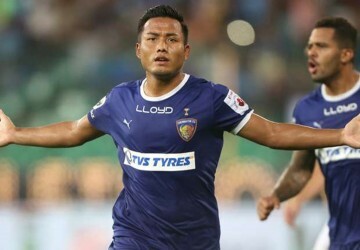 The Group E matches will be played in Guwahati and Kolkata, the latter of which will only host one match of the group on 14th October. Honduras, Japan, New Caledonia, France will be part of this group. 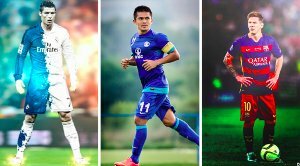 Finally, the Group F matches that are scheduled to be played on 14th October in Kolkata will see the likes of Iraq, Mexico, Chile, England to play it out for the knockout stages. Pot 1: India, Mexico, Brazil, Germany, Mali, France. Pot 2: Spain, Japan, New Zealand, England, Iran, United States. Pot 3: Costa Rica, North Korea, Honduras, Iraq, Turkey, Colombia. Pot 4: Chile, Paraguay, Ghana, Guinea, Niger, New Caledonia. * Two teams from the same confederation cannot be drawn in one group.